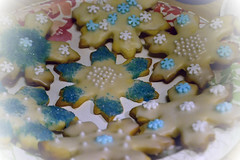 Holiday Secret Cookie Recipe from my grandmother's recipe box. The holiday season is always my favorite time of year. 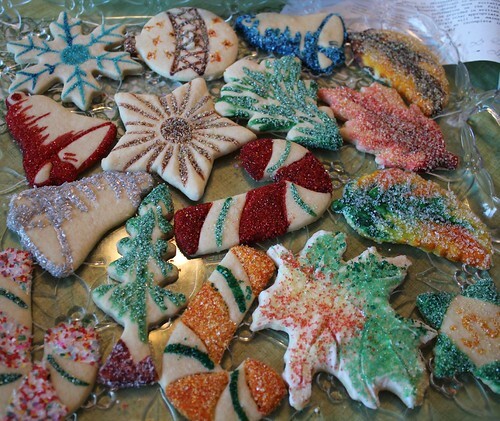 I enjoy cooking the holidays meals and baking. 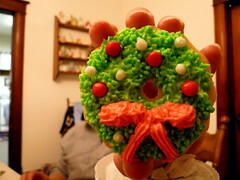 My favorite staple during this time of year is sugar cookies, not the kind that are the plain old sugar cookies but the ones iced up and adorned with fancy sprinkles like my grandmother used to make. They almost look like little dolls if you spend time in decorating. I have a million cook books and I have pulled this recipe from one of my older books that have the dates of 1975 in them. I have made some grammar revisions from the original recipe. Preheat oven to 350 degrees F. Grease your cookie sheets. In a large bowl, mix together the flour, sugar, baking powder, salt and mace. Cut in the butter using a pastry blender or rub with your hands. When butter pieces are no larger than pea size, stir in the egg, vanilla and heavy cream and mix together. Lightly sprinkle your area with flour and roll the dough out to 1/8 inch in thickness. Cut into shapes with cookie cutters (be creative). Place cookies 1 1/2 inches apart onto cookie sheets. Bake for 5 to 8 minutes in oven, until the edges begin to brown slightly. 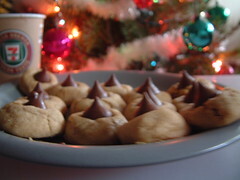 Remove cookies from baking sheets to cool on wire racks or you can use a plate. Cool completely before frosting. 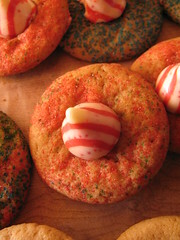 You can embellish your cookies with any type of holiday sprinkles, or candies. You can get most from your local grocery but if you want elaborate ones you will need to visit a cake supply store. If you have any recipes that you would like to share please do!! If you have any requests I am sure that I have a recipe book that can help send me an email.